Those rare speakers who can hold the attention of, and influence, others are so incredibly impressive. Sometimes, consciously and with discipline, they are applying the available, precise skills allowing for more purposeful communications. These individuals compel me to shut up and pay attention. Some are (unfairly) labelled “naturals.” Still, they are amazing. They are hardly ever working in radio. Neither are those who might be gifted or skilled in such a way, likely considering radio as a medium of opportunity — one that will support their particular communicative attributes. For some time, I have been making the claim that being on the air at a contemporary music radio station does not represent meaningful work and, by default, is no choice of vocation for a grownup. 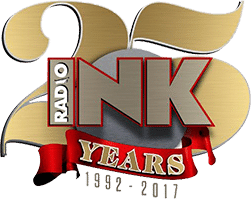 Meanwhile, Radio Ink recently published a substantial list of some of the management changes taking place at Cumulus, the #2 discounted bulk barn of American radio. On the surface, these machinations might seem like the beginning of a process that could provide entry into a brave, new world of radio. This is extremely unlikely and I shall explain why. The majority of programming managers involved may be experienced, senior people with tenure. Many of them would also be sporting wonderful personalities while oozing enthusiasm and sincerity. Still, there is trouble afoot. The harsh reality is that most of these folks have been spending many years in a corporate dungeon, unable to exercise influence or, gawd ferbid, attempt a little experimental radio as a “skunk works,” just to see what happens. If there has been any “outside of the box” thinking, they have learned to keep their own counsel and their traps shut. The programming departments’ principal players, meanwhile, and rather than being released to ply some intuitions and ideas about innovations and the like, are actually just being set up. They are being issued shiny, new collars and their leashes are being slightly extended. This is so they can get to the Kool-Aid coolers – all by themselves. Chances of them accomplishing much are grim. Meanwhile, I have often been accused of demonstrating an astounding arrogance. This is by my assertions to know stuff of which the rest of the industry is completely unaware. I assure any gentle reader this is not the position with which I began this little trek into the harsh, desolate, and cruel radio wilderness. Nor does this make me any smarter than the average bruin. But, it does mean I have been uniquely educated and have enjoyed very strange but consistent successes by applying the knowledge and skills I have acquired over the years. My fantasy, early on, was that I would introduce these materials along with a litany of successes, and radio would go, “Wow! This is fantastic! Let’s get on with it – right now!” I was mistaken. Further, it is not as if I have not presented – in more detail than I ever wanted – a number of the main communicative principles which, I submit, are necessary to turn this thing around. A radio organization can begin to build up the only components over which it would have complete and constant control. These include the on-air presentations and locally produced advertising — the spoken-word elements getting fired off the sticks. Another advantage that would come from addressing these elements is that the stations down the street would be confused and have to contort themselves, consult tealeaves, OUIJA-boards, and delve into the black arts to even begin to figure out what the hell was going on. Therefore, should any training take place, a non-disclosure agreement for everyone involved would have to be part of any arrangement. Plus, the immediate application of the strategies and methodologies by all engaged employees would have to be conditions of continued employment. These are not trifling matters. Even as radio trundles along, it is easy to assert we are in trembling times. We are part of an industry that is committing hare kari – gradually. Audiences and advertisers have been bamboozled and abused for decades with shoddy products and services. Talent, instead of being encouraged, supported, and occasionally sent off to a radio skool of some kind, somewhere, has been suppressed and/or eliminated. Many in the business have no idea what is “normal” today is actually so totally unappealing, annoying and inefficient — unacceptable and injurious to the business. Anyone, by the way, who would claim otherwise is not an informed, astute, or studious broadcaster. They would, instead, be a person who just happens to be involved in some part or other of the radio industry. Radio’s gaping, sucking, chest wound is its refusal to address a decades old “model-of-communications” – fundamentally. Any outfit that refuses the challenge is only widening the hole through which radio’s life fluids and funds will be spilling onto the floor. Shelley is correct about one thing: There are NO radio stations that come up to snuff. How could they? They’re running on empty. They are an embarrassment to “professional communications”. Ownership is guilty and dripping with offal from killing off the talent like they were chickens to be eaten raw. What is tragic is how they refuse to confess. Some (many) may be sincerely unaware of their own failings. Meanwhile, I don’t DO “humble”. It’s too late for that. Further, if anyone requires dates, results and the location of the bodies, they could do me the courtesy of contacting me – directly – while identifying themselves.. In the meantime, Shelly and other like-minded individuals can sleep the sleep of the rude and blissfully uniformed, and can pretend she/he has just dined heartily on the goose – the same goose that could (possibly) be layin’ some of them fine, golden eggs. Please direct us underlings to a radio station that sounds great, in your humble (humble? hahaha) opinion. There must be ONE that would give us an idea of what your endless ramblings have in mind. Knowing Ronnie, he won’t..because there is none. Ronnie never names names or places. It’s all subjective blue-sky. To be superficially fair, Mike: That description is consistent with every large, corporate radio group – U.S.A. and here in The Great White North. Cumulus’ thrashing around is just a current target of opportunity. Nothing unique about their circumstances. I have turned a lighter shade of blue a couple of times – until I realized I was only hurting myself. And that pretty much says it all. How long can you hold your breath waiting for something to happen?